CEDAR CITY — Frontier Homestead State Park, in partnership with Cedar City Corporation, will celebrate the founding of Cedar City this weekend with a day of hands-on activities designed to honor the spirit of the community and those that created opportunities for growth. Enjoy the cool, crisp fall air Saturday from 10 a.m. to 2 p.m. as Frontier Homestead hosts its annual Iron Mission Days. The cost is $2 per person, $5 per family or free with a museum membership. Pioneer activities, crafts for kids and living history demonstrations will be available. Among the highlights, Sheriff Shawn will be showcasing his gun-spinning skills, and living history demonstrators will be highlighting frontier medicine and Civil War-era weapons. Park staff will be offering tomahawk throwing and baking in the wood-fired oven. Other featured artisans include the museum’s blacksmith, a local flint knapper and the Sagebrush Fiber Artisans Guild weavers. Additionally, visitors will be able to dip candles, pitch horseshoes, create rope, ride in a Model-A Ford, make rag dolls and of course, enjoy a slice of birthday cake. Saturday promises to be a fun-filled day of adventure for the whole family. Make history your story, and connect with the traditions, knowledge, ideas and activities of the past by attending Iron Mission Days. What: “Iron Mission Days” celebration. 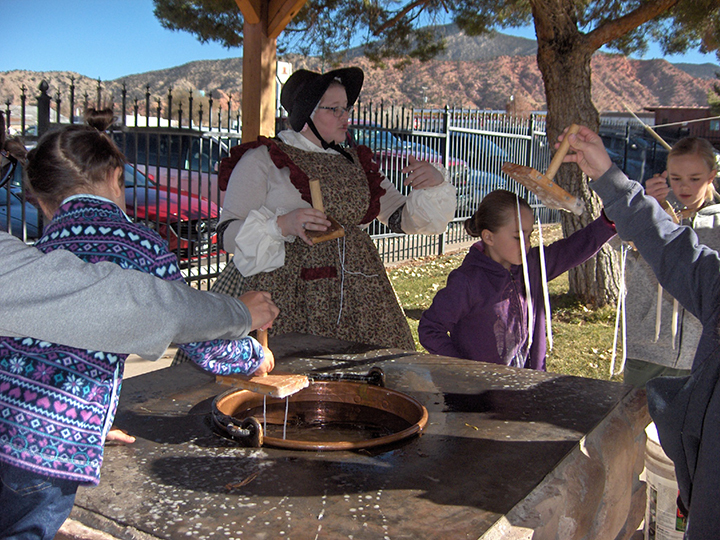 When: Saturday, Nov. 3, 10 a.m. to 2 p.m.
Where: Frontier Homestead State Park, 635 N. Main St., Cedar City. Cost: $2 per person or $5 per family. Museum members are free. More information: contact Ryan Paul at 435-586-9290 or visit the event’s website.